This year we elect members of the House of Representatives, the Senate, and state and local representatives and judges. We must inform ourselves carefully on the positions of candidates on key issues, proposed ordinances and propositions, and vote according to a well-informed Catholic conscience. Many resources are available for this. What does the Church teach about Gender? READ: BISHOP CAMPBELL, LANCASTER, ENGLAND, "YOU CAN&apos;T BE CATHOLIC AND SUPPORT ABORTION"
Our Lady of Walsingham Family Life Ministries eagerly embraces Pope Francis&apos; directives, example and leadership, and seeks to provide the pastoral support and resources to help strengthen marriage and family life, while protecting the sanctity of all human life, from conception to natural death. Evangelizing through prayer, education, and outreach, the questions and challenges encountered in marriage and family life are sensitively addressed, faithful to Catholic teaching. New to the parish? Let us get to know you and welcome you into our parish family life! Call or email us to schedule your personal welcome. unPlanned is a movie that portrays the true story of Abby Johnson, (view movie trailer) whom Archbishop Nauman, USCCB ProLife Committee chair, refers to as "a modern day St. Paul " in the Life debate. Abby was an award winning National Planned Parenthood Director, advocating for abortion legislation and involved with up to 22,000 abortions until something she experienced changed everything or her. Now she is a champion for Life! Be sure to see this movie on the opening weekend of March 28-31, to increase their box office ratings. Family Life has 135 $5 tickets for the Sunday, March 31, 1:45 p.m. showing at the Edwards MarQ*E on Silber at I-10 on a first requested basis. after all weekend Masses March 23/24 and 30/31. View the flyer. or email familylife@olwcatholic.org or text/call 713.447.7141 Read Why the "R" rating? (view this letter before taking your pre-teen or teen). 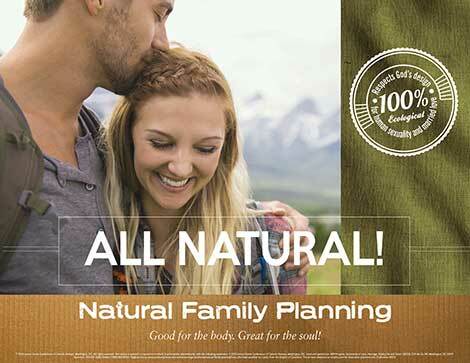 Come see why many refer to NFP as &apos;marriage insurance&apos;. Learn more about the science and theology of God&apos;s gift of fertility and how NFP can assist with conception or with the spacing of children when serious reasons exist. Call 713.263.7914 with questions or to register. Expecting or Delivered a Baby? Register for our annual Parish Baby Shower Each Spring. Your parish celebrates God&apos;s gift of Life with you! Click here to learn about Fullness of Truth! Grow in faith, get answers to questions about the faith, be inspired by top Catholic speakers, sacramental celebrations, prayer, Catholic books and resources and rest and renewal with those you love! SUPPORT houston coalition FOR LIFE! Register at the Family Life Hospitality table after the Sunday early Masses or email familylife@olwcatholic.org or call 713.447.7141. Meets 3rd Thursday, each month, 7:30-9pm, monthly meeting rotation: Couples Dinner, Ladies Dinner, and Couples Discussion. Loving Embrace is a Catholic educational support group for couples who have endured or are presently enduring the pain and suffering of infertility. The group provides support for coping with infertility and explores resources, methods, and options that are morally faithful to the teachings of the Catholic Church. For rotation information contact Shannon Lassen at 832-978-6716 or infertilitysupporthouston@gmail.com.